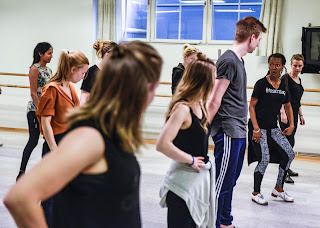 STF is offering a number of partial scholarships to talented and hard working dancers that are in need of financial assistance, and who may otherwise not have the possibility to come to Stockholm. We are looking for dancers that are very passionate about tap dancing and can show their dedication and commitment to learn and share the art form. You apply by emailing us the details showing why you need and deserve the scholarship. Please state your age, where you are traveling from, and what level/track you would be interested in. Those selected for the scholarship will receive a discount on the Main Schedule package. Come and learn from some of the best dancers in the world! Another option if you don't have the financial means, or just cause it's fun, is to help out during the event in exchange for free classes. The arrangement for the work exchange is free access to a full day of the event (Main Schedule classes + evening event) for each full day of work that you do (full day=1,5 shifts/8+4 hours). Please contact Jonas if you are interested in the work exchange, and state your age and what level/track you would be interested in. Thank you!